The exhibition Ron Klein: Naked Green, curated by Elisabeth Akkerman, comprises two site-specific wall installations Moved to Square, 2009, RE:ID, 2009, and three over-scale sculptures Naked Green, 2001-2, Sticks and Stones, 2001-02 and Blackeye, 2003, representatives of the interwoven focal points contained in the artist's work. The earlier work, large scale floor bound and suspended sculptures are the iconic result of his explorations of nature's architecture and its essence. 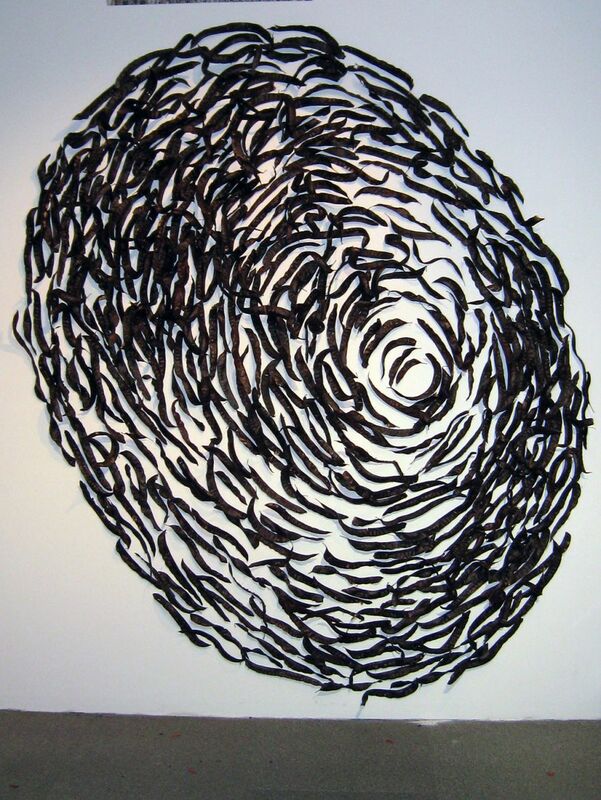 The wall composition RE:ID, 2009, consisting of honey locust pods collected from the grounds of the Barnes Foundation in Philadelphia, is derived from the artist's own thumbprint and stands for his interest in the human condition. In Moved To Square, an intense assemblage of found objects from concrete and tropical jungles alike, Klein reinvents through appropriation, changing the semantics of association and the use and structure of the organic and man made materials. Ron Klein: Naked Green is curated by Elisabeth Akkerman and is sponsored by the Time Equities Inc. (TEI) Art-in-Buildings Program. TEI is committed to enriching the experience of our properties through the Art-in-Buildings Program, an innovative approach that brings contemporary art by emerging and mid-career artists to non-traditional exhibition spaces in the interest of promoting artists, expanding the audience for art, and creating a more interesting environment for our building occupants, residents, and their guests.